FM Starting Point is a completely FREE FileMaker template designed for use with FileMaker® Pro 12, and is focused on small businesses, work groups, and non-profit organizations. These templates were built with the experience gained from working with these target groups for over 22 years. Posted in FM Starting Point, General Business Topics and tagged FileMaker, FM Starting Point, FMSP on October 22, 2013 by Richard Carlton. 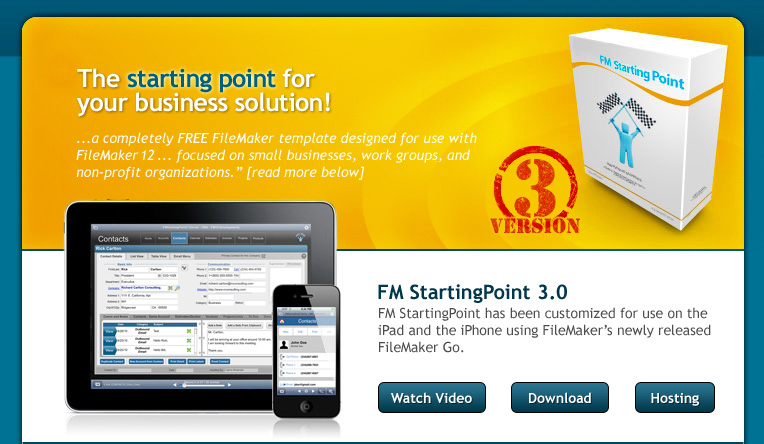 Posted in FM Starting Point, General Business Topics and tagged FileMaker, FM Starting Point, FMSP on August 1, 2013 by Richard Carlton. I wanted to share a milestone in the history of RCC. Not that I turned 40… I did that already. RCC is now training its 40th college intern. For those that are unaware of this… at any given time RCC is busy training a corp of college interns in the art of FileMaker. RCC interns spend many months learning database design work, programming, and even the more important aspect of project and customer management. They will take these skills plus many life lessons with them forever. Some of the interns stay with RCC to become full fledged FileMaker Engineers. 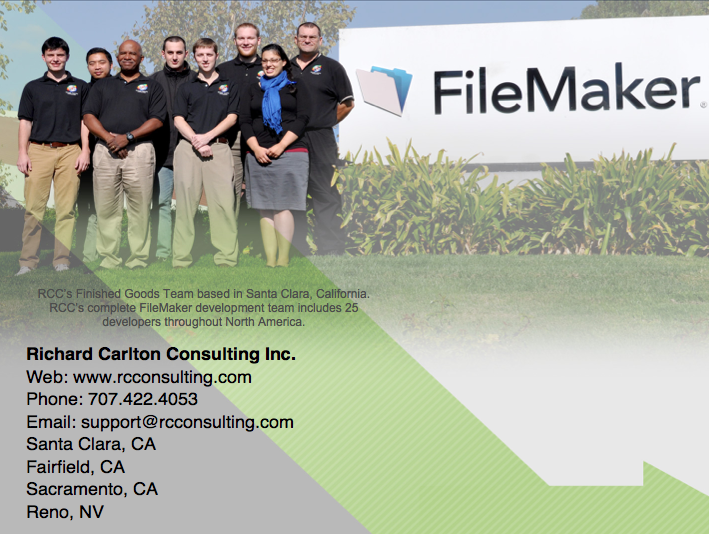 In fact, in the past 12 months, RCC has had five of the interns go on to get their FileMaker 12 certifications. About 1/3 of the interns stay with RCC to create a permanent career, while the rest take their kung-fu FileMaker skills and move on to other job opportunities….where no doubt…FileMaker gets used to solve problems. Where are our former interns now? well…. a short list reads like a Tom Clancy Book. Two Marines, a Chief Petty Officer on a Nuclear Submarine (in the Nuke Part of the boat), three school teachers, a number of government employees, one that works in “high finance”…etc. I am pleased with the people we turn out, and certainly they all become advocates for FileMaker. A new crop of youthful developers…something that the FileMaker community really needs. Posted in Uncategorized and tagged FileMaker, Intern on February 21, 2013 by Richard Carlton.